MediaTek already has plenty of Arm Cortex A53 processors in their portfolio, but with MediaTek Helio P22 they’ve now added another one. One of the selling point of the new processor is that it is manufactured using a 12nm manufacturing process, just like the recently announced Helio P60 SoC, which better performance for the similar power consumption thanks to a higher CPU clock (2.0 GHz). The company explains the processor implements a new hardware depth engine and Neuropilot technologu which enable AI enhancements such as “professional-grade Depth of Field (Bokeh) effects” and Face Unlock for their dual camera. 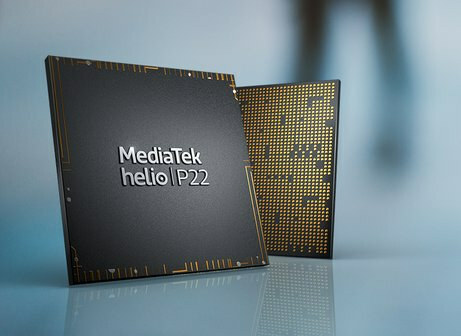 MediaTek Helio P22 SoC mass production has just started, and devices are expected by the end of Q2 2018. Visit the product page for a few more details. It is nonsense that the max resolution is 720p, that belngs to very low budget socs like mt6580. I also don’t understand why it does not encode in 4k, it is quite strange as well since from this year any middle range premium soc would do that. I know any of those are really important, but this soc seems more low range than middle range. A53 is getting soon its last breathe, it would be a bad practice to still release A53-only socs in 2019, only ultralow budgets would have to do that next year. The rest should move to A55 asap.